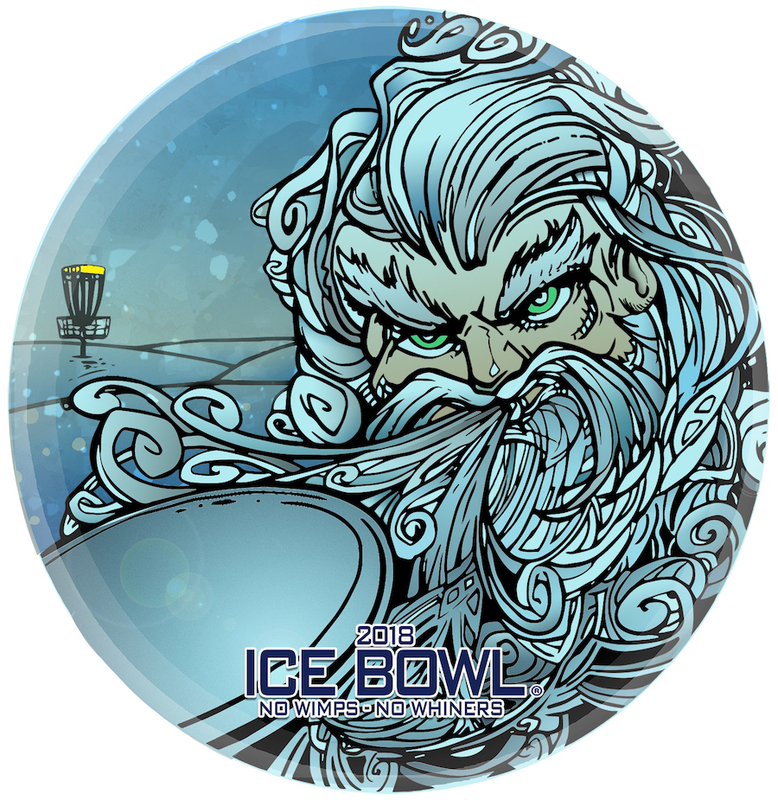 The 2018 Eagle County Ice Bowl is another opportunity for disc golfers to give back to our community in a meaningful way. The Flying Eagle Disc Society is once again teaming up with Food Rescue Express in Edwards to help feed hungry children in Eagle County. 100% of the proceeds from this event will go to Food Rescue Express, our local hunger charity. 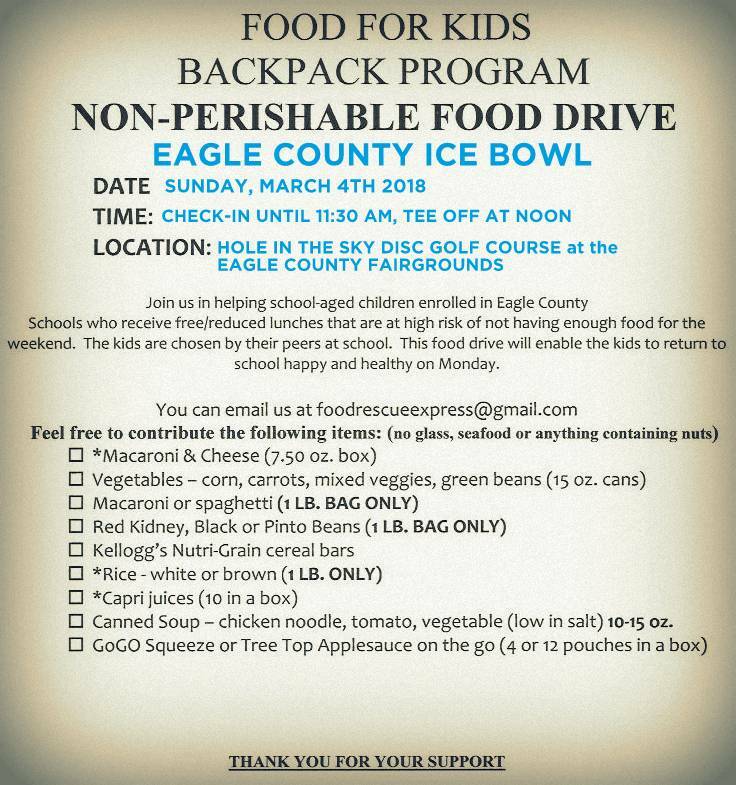 Food Rescue Express provides a full weekend of meals (breakfast, lunch, and dinner) to low-income elementary aged students in Eagle County Schools. Time: Check In – 10:30 to 11:30 a.m.
Players Meeting – 11:45 a.m.
Who: Players of all ages, genders and abilities are welcome! Mulligans: Three free mulligans for signing up, $2 for additional mulligans, one additional mulligan for every item donated from the list at the bottom of this page. Online registrants can still bring food items on tournament day for additional mulligans. Bonfire Brewing, staying true to their awesomeness, will once again be hosting our after-party at their Taproom in Eagle offering BOGO brews! We will also be holding at 50/50 CTP instead of an ace pool. Each player has the option to pay $2 per throw for a CTP. Half of the $2 will go to Food Rescue Express, and the other to the CTP payout. Pay for as many throws as you wish for $2 each until you run out of cash or discs! This is a great opportunity for us to raise some cash for hungry children in the area. Be sure to bring cash for CTP and Mulligans at the event! Signing up is easy. Just complete the short form below and click the “Pay Now” button to pay securely through Paypal. All fields are required.